What’s it all about? 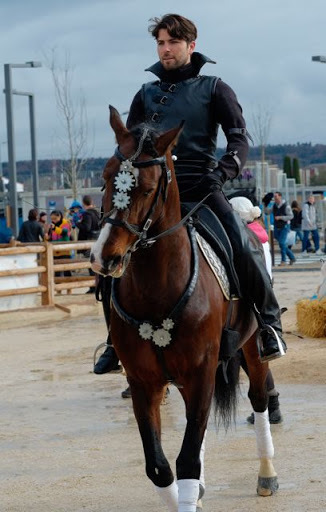 My preferred translation is Horse Crazy – The Horse Show, but a more literal translation for “Cheval Passion” is “Horse Love” or “Horse Passion.” It’s certainly very different to any horse event I’ve ever attended before. Mention “Horse Show” to any Irish Person and they will most likely think of the Dublin Horse Show, which I blogged about last August. but, head and shoulders above all these, there is show-jumping. Dublin is a hugely important venue for both National and International show-jumpers, and they take centre stage throughout the week, with two show-jumping arenas on the go from dawn to dusk for the whole five days. 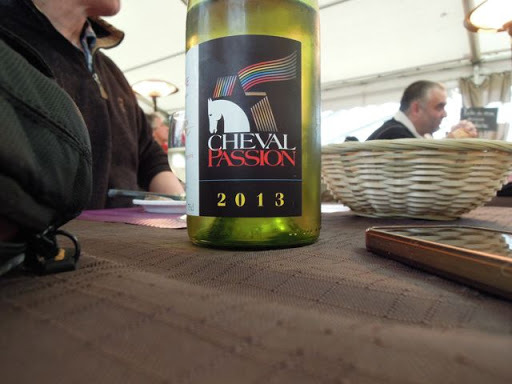 So is Cheval Passion anything like that? We-e-e-ell, sort of. Yes, there are showing classes, but they’re more a shop window for different studs and breeders to show off their youngstock and stallions. I’m not sure there is even prize money on offer. 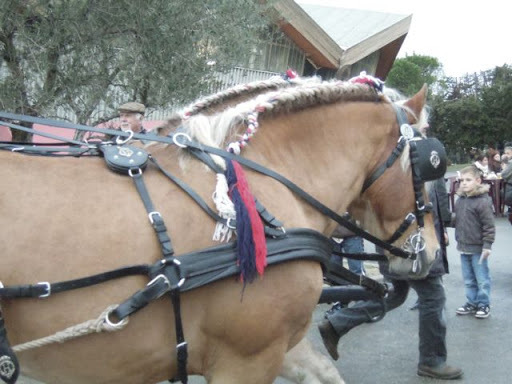 Pony Clubs get a day all to themselves – it’s called Pony Passion, it takes place on the first day of the show and it gives youngsters from all around Provençe the chance to participate in games and displays. there are six large trade halls, jam-packed with equestrian must-haves of all descriptions – you would need at least a week to get around them all! A big difference from Dublin is that the trade stands are exclusively equestrian – no antiques or jewellery to be seen, unless they’ve got a horsey theme! there were two arenas devoted to Tri de Betail (cattle cutting), one of which was solely for Camargue horses, the other being for cow horses of all breeds and backgrounds. one arena was also reserved for Horseball over the weekend, where the finals of the Championnat de France Pro-Elite was taking place – heart-stopping stuff! However, there is no show-jumping at all (although the Iberian horses are expected to pop over a small obstacle during two of their competitions). Tremendous variety, to be sure, but there’s more, and it is what seems to be the heart of Cheval Passion – the Equestrian Performances. There are four halls devoted to Cabaret Équestre, where you can sit and enjoy your lunch while watching a show unfold in the arena in the middle of the hall. Tables and chairs are crammed around two or three sides of the arena, with the seats at ringside being the most popular (of course!). On top of these “lesser” shows, you’ve got Les Crinières d’Or, a twice daily show of the very best of Equestrian performers. Lorenzo, the Flying Frenchman, is a regular here, but this year there were also displays from the Haras National (the National Stud), the Régiment de Cavalerie de la Garde Républicaine (the French equivalent of the Horse Guards), a number of Liberty horse, vaulting and Haute École performances, as well as what could only be described as Horse Ballet. This slideshow is a combination of both of our photos taken over the two days. On the first day, it was a team competition – what they call Team Penning in the US, I think. Teams of three entered the arena, they were given a number (“four” “seven” etc) and then they had to take it in turn to cut a cow, tagged with the appropriate number, out of the herd. The team members not actively cutting kept the already separated beasts at the far end of the arena. On the second day, it was an individual class and was a much quicker affair. Each rider had to select a cow with the given number, cut it from the herd, chase it to the far end of the arena and then steer it into a pen, from which it could make its way down a chute to rejoin the herd. 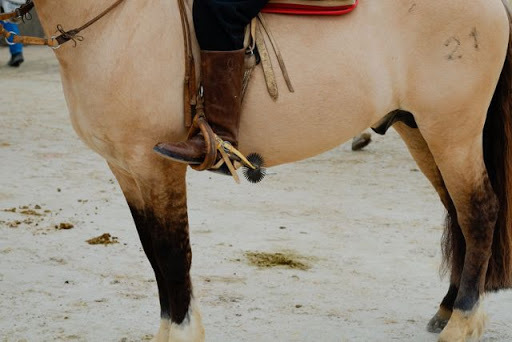 Although there was a lot of shouting and some tugging and hauling on the fairly severe bits, not one of the horses we saw was marked by the substantial spurs sported by the riders. I can’t say the same for some of the show-jumping or dressage horses I’ve seen at home. There seems to be a huge interest in all things Western in France at the moment, and it was great to see the variety of horses and the colourful and varied outfits worn by their riders. Camargue, Arab, Criollo, Appaloosa, Quarter horse, and several more which I wasn’t sure about. The riders were mostly in Western attire, but there was a large contingent of Camargue Gardiannes (not surprising, really), a few South American style and a few more I wasn’t sure about – the guy wearing a beret, for example. 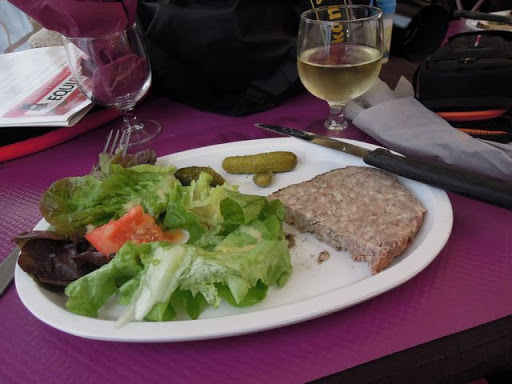 We left the cutting horse arena to go for lunch at the nearby Iberian horses hall. We were told that the ringside tables were reserved for large groups only – humph! 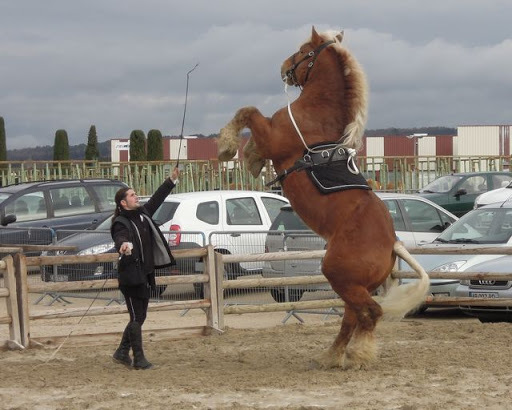 As it happened, though, there wasn’t much going on – we saw the tail end of the class for working Iberian horses, where horse and rider negotiate a series of obstacles, showing how well-schooled the horse is as they pirouette around a pole, half-pass along a raised pole, (forelegs on one side of the pole and hind-legs on the other), walk forwards and backwards along on L made out of poles and also go over a jump. Horse agility/Handy Horse meets dressage, I think! and the food was good, so we didn’t mind not having anything to look at other than the John Deere leveling the sand! After eating, we went off to have a look at the HorseBall competition. I had seen this (briefly) last year, but the LSH had never seen this or anything like it before! Whereas I reckon those guys are nuts, he was beaming from ear to ear and saying how much he’d love to do it!! Ha, let’s not tell Flurry! Once again, we had lots of photos, not all of them were particularly useful as it was hard to get a good vantage point. Note in photos 2 and 9 what these guys do to pick up the ball! Bonkers! The aim of the game, by the way, is to score goals by throwing the ball through a large basket. There are four members from each team on the 30Mx60M arena at any one time (plus the umpire), with two reserve horses waiting on the sidelines. 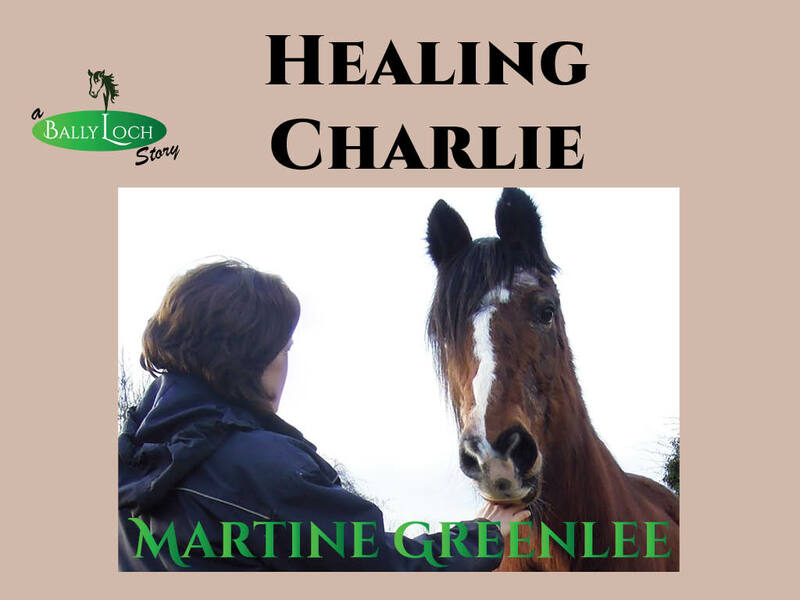 Each game is split in two halves, with each half lasting about ten minutes, so although the horses are flat out while they’re playing, it’s only for ten minutes at a time and they get a good break in the middle. A kicking horse will not be tolerated – we only saw one kick out, giving away a penalty. Blood or injury will also not be tolerated, the horse and rider must leave the field immediately, being replaced by a substitute. I’m still not sure what constitutes a rider foul, it seemed like anything goes when they were trying to tackle or block someone. 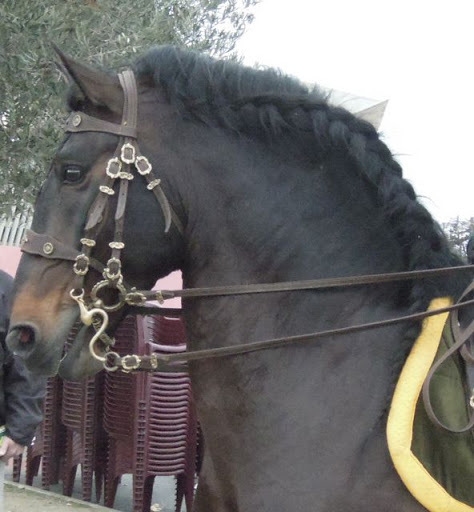 Part of the charm of Cheval Passion is watching the horses and crowds mingle. Health and Safety in Ireland or the UK would go crazy with some of the things we saw. Imagine the venue as something like a giant egg-timer, with the central neck being the only way to get from one end to the other. 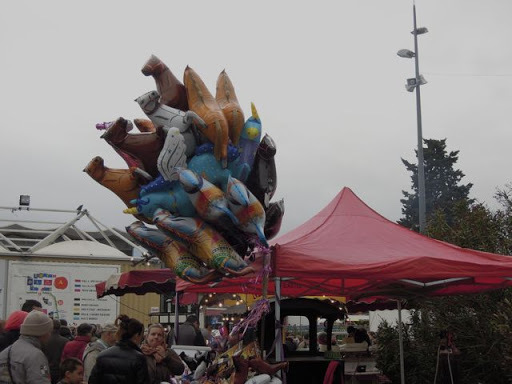 Thronged with people making their way to and fro, the already narrow thoroughfare is further squeezed by vendors on either side, selling food, balloons and roasting chestnuts. Then imagine a procession of horse-drawn carriages making their way through this thoroughfare from one end of the egg-timer to the other, trooping around (in a quiet area) for a while to warm up their horses before making their way back through the neck of the egg-timer again. Yeah. It happened. I was too busy diving out of the way to get a decent photo of any of them, unfortunately. 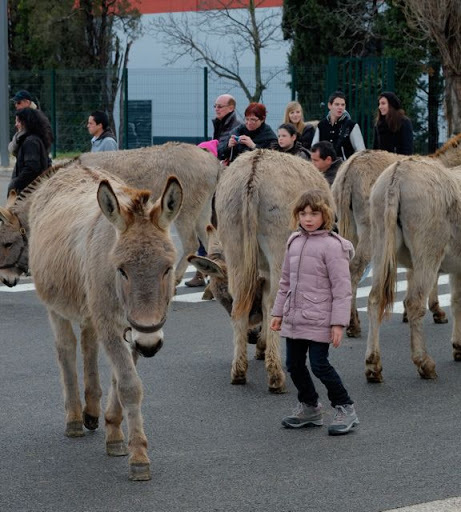 Then there was the herd of loose donkeys being walked from an exhibition hall back to their pen. And watch out for just how many riders wear safety helmets in the photos from today and tomorrow. Despite the fact that there were lots of excited horses there, many of them stallions, all the horses were incredibly well behaved and we saw no mis-behaving or near-accidents. The next guy is rearing on command! 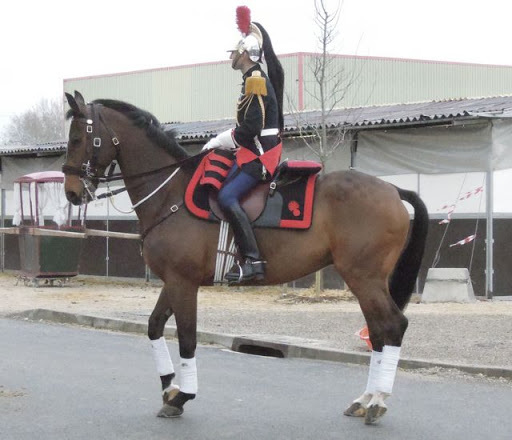 Finally, how about this fine… ehhh… horse? There’ll be a close-up of him in tomorrow’s post! Now that's a busy few days I would guess. Love the whole thing it must have been so much fun to see. Love those horses in the last three pictures. Some of these activities look pretty dangerous. I'm glad all the horses were well trained and well behaved. Can't wait to hear more about it and see the pictures.